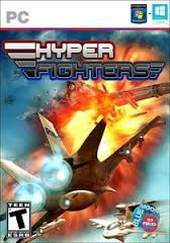 Hyper Fighters brings back the rail shooter as you know it from the arcade: fast, explosive, addictive, and easy to learn: but so hard to beat the number one highscore. It was originally on Wii in 2011. Fourteen trigger-happy arcade-fun stages are now available for one or two players: Shoot dozens, hundreds, or even thousands of enemies out of the sky and water with three ultra modern fighters. This will require trigger happy fingers and supersonic reflexes. Face immense, massive and simply incredible endbosses that are each capable of destroying an entire nation by themselves. Do you have what it takes to destroy them all?